Mayor Sylvester Turner is hosting a series of town hall meetings to discuss the two city ballot items that will appear on the November ballot. 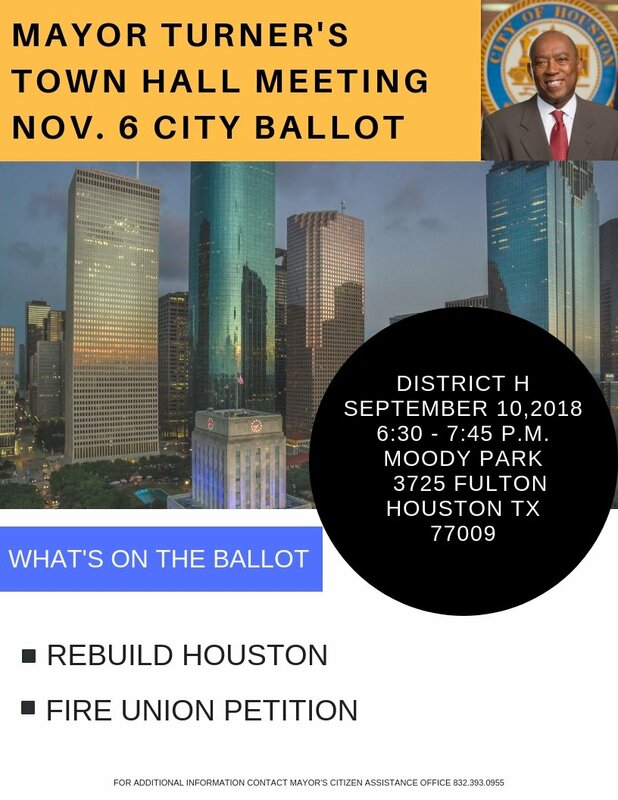 Come learn about the Rebuild Houston and the Houston Fire Union referendum elections on the November 6, 2018 ballot. Details on District H's public meeting are below. For more info click here.